When it comes to your revenue cycle and accounts receivable management, special attention must be paid to the most important part of the financial element of your practice. Understanding your revenue cycle and having an understanding of the impending changes to come can help you connect with strategies for improvement. 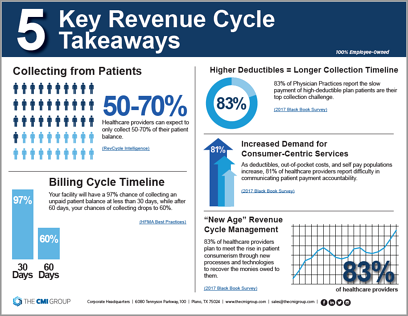 Download the free inforgraphic to see industry revenue cycle trends!